Wholesale Personalized Cocktail - Martini Glasses, Custom Printed. Inexpensive, Promotional. Budget Prices for USA, Canada. - custom imprinted with your logo. 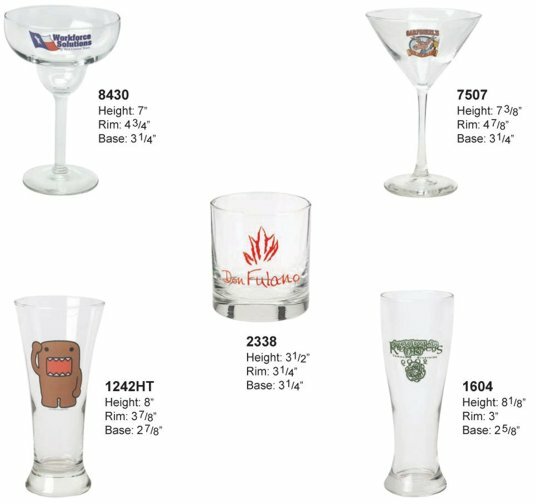 Lowest prices in the USA and Canada for wholesale imprinted cocktail glasses. Free artwork design. US clients pay no taxes. We will send you a proof for your approval before production. Please see the Price Table below the picture.